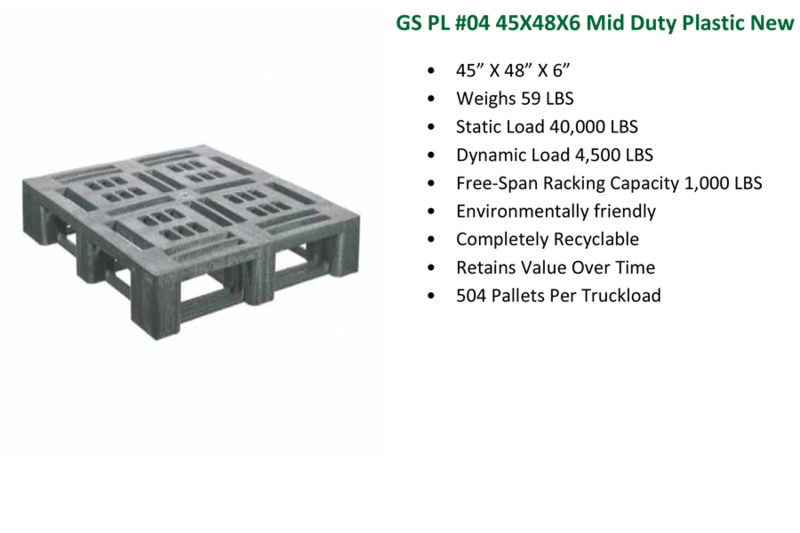 Our specialties are pallets and crates: new, used, recycled, custom, combo, plastic, Euro, CPI, can pallets, glass pallets, and ISPM-15 compliance. 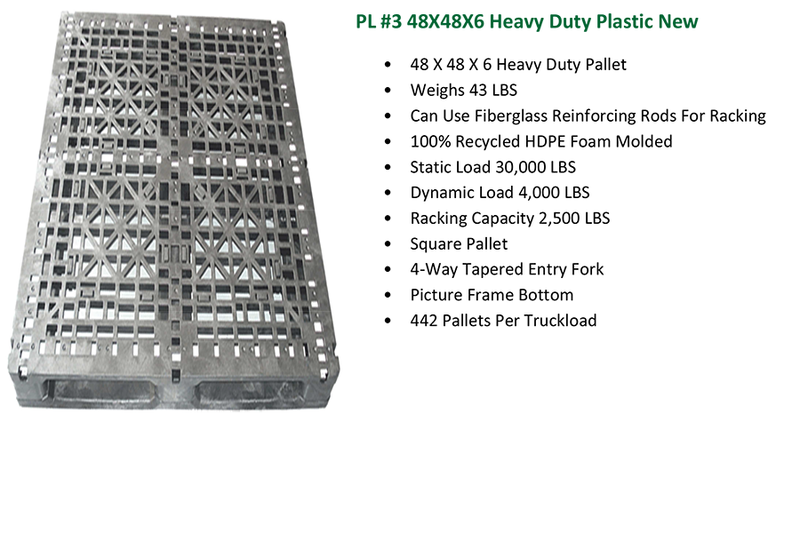 In addition, Pallet Central Enterprises (PCE) handles kraft paper, tier sheets, top frames, recyclables, pallet design, pallet management systems, and closed-end or open-end logistic solutions. 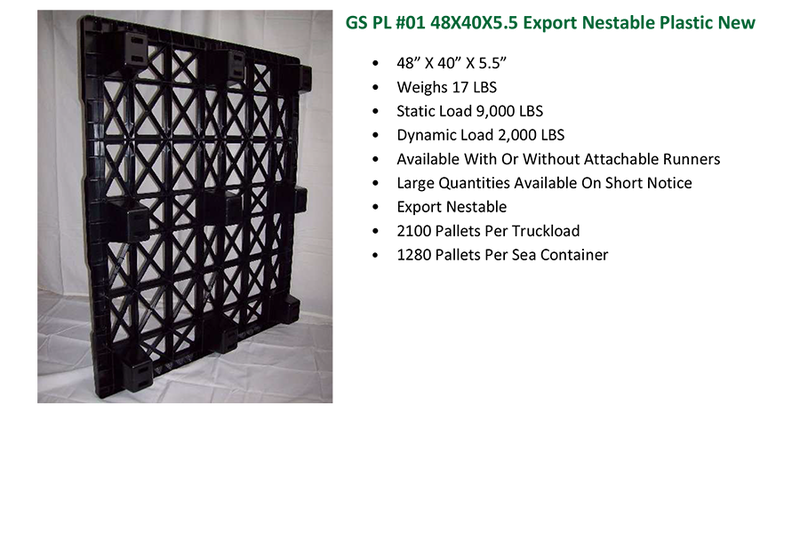 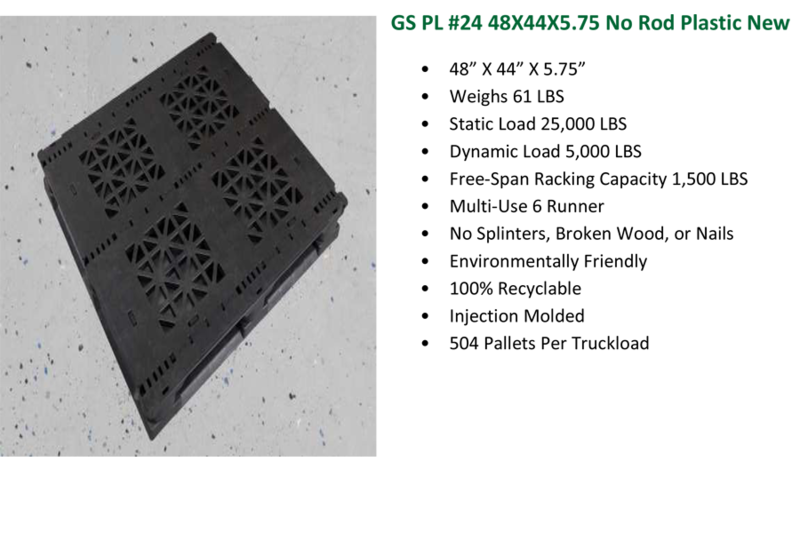 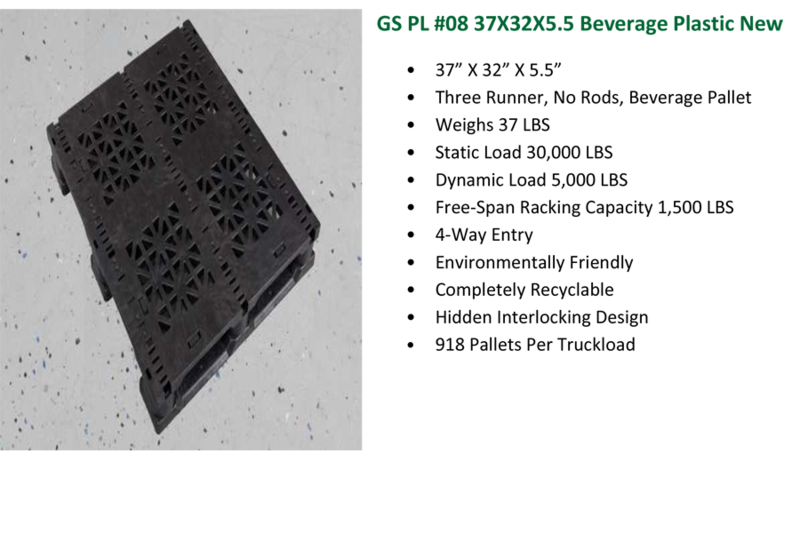 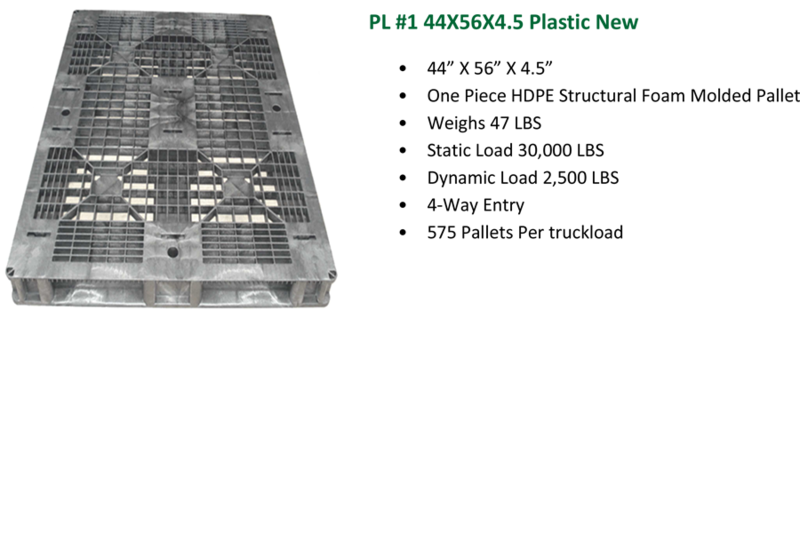 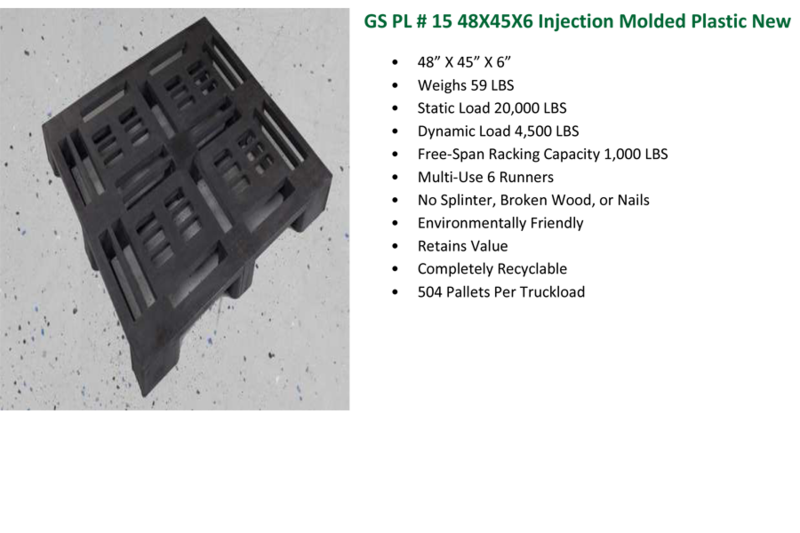 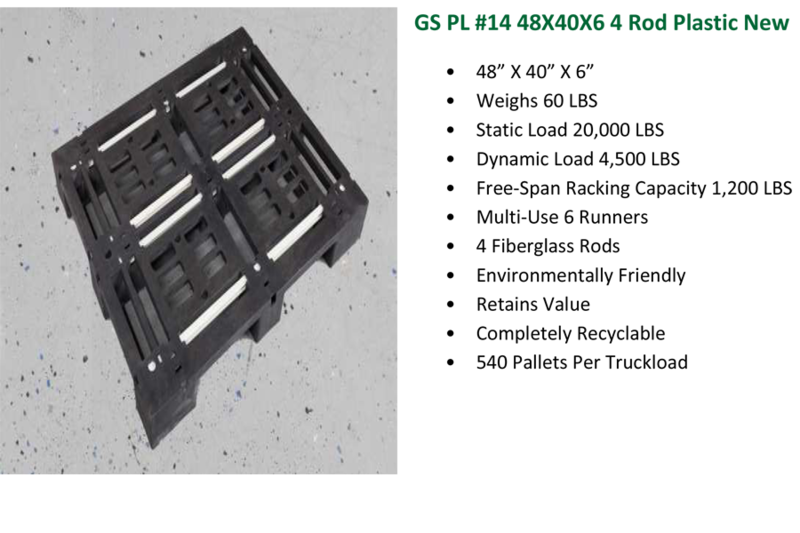 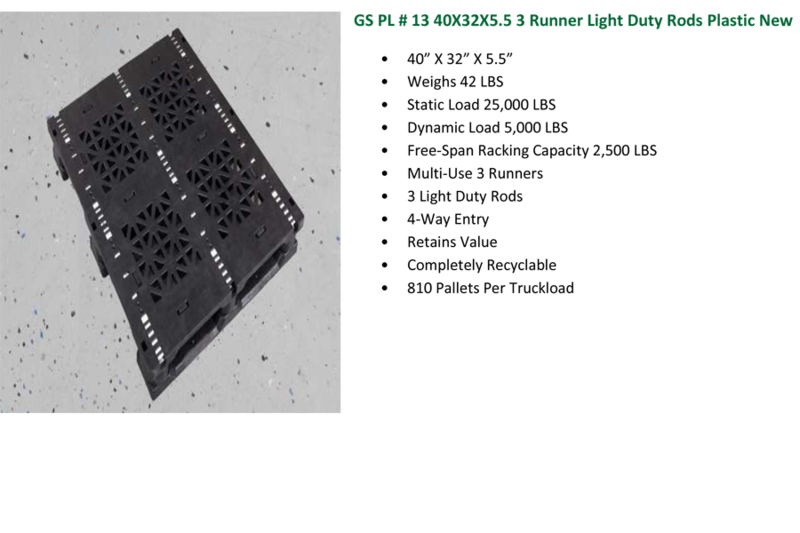 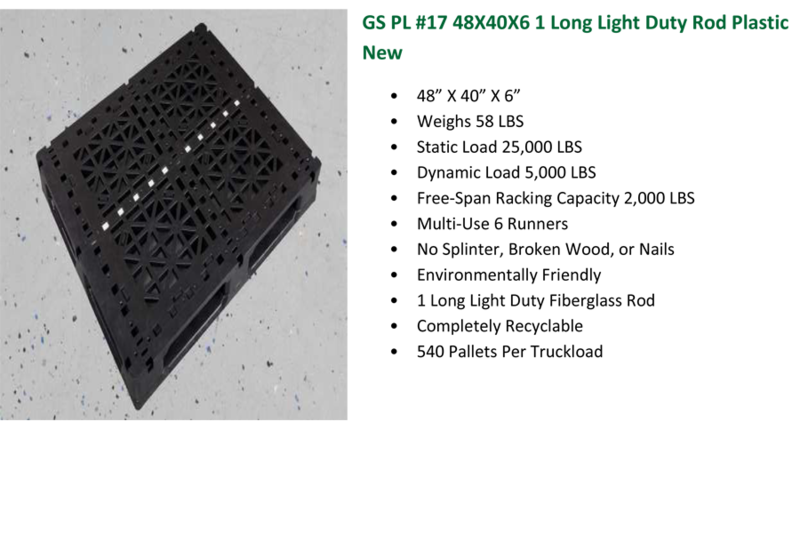 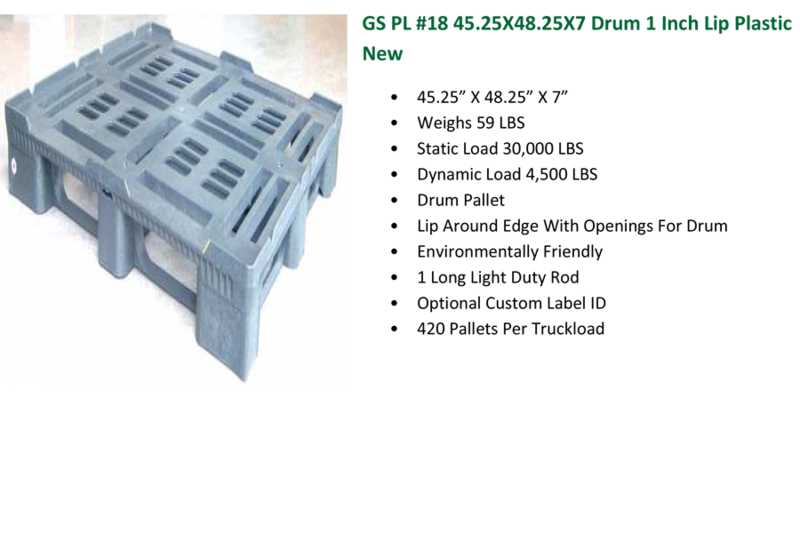 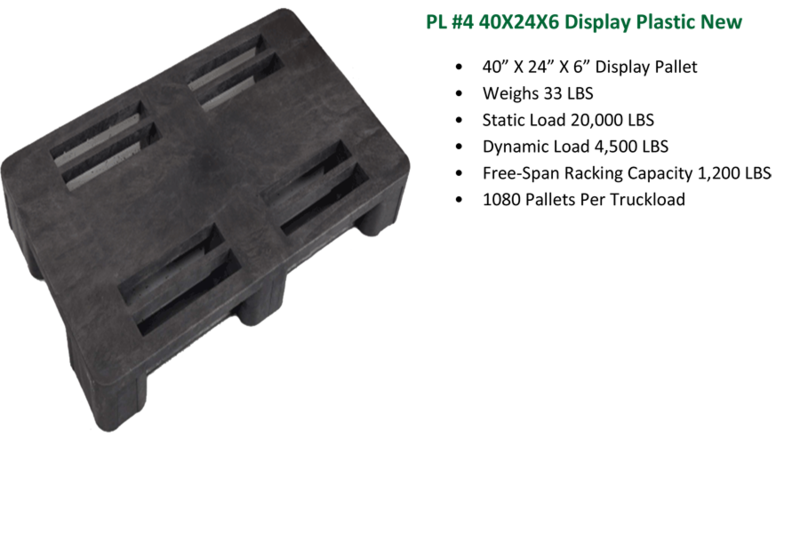 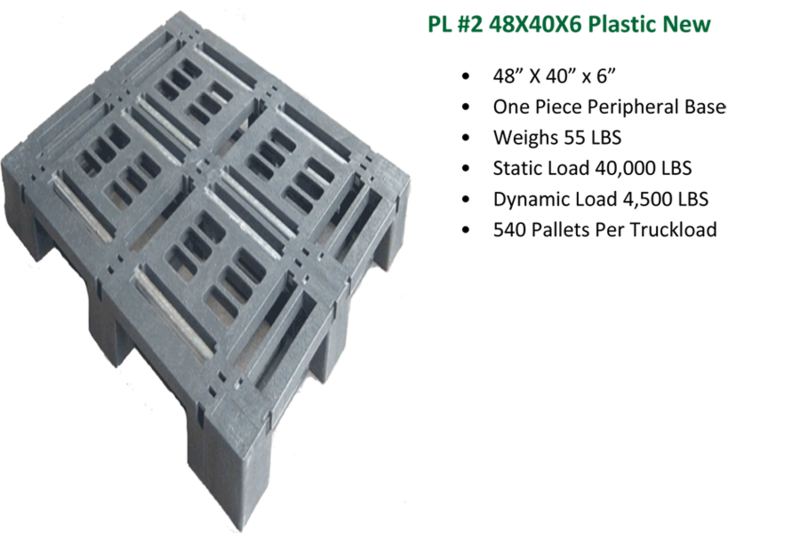 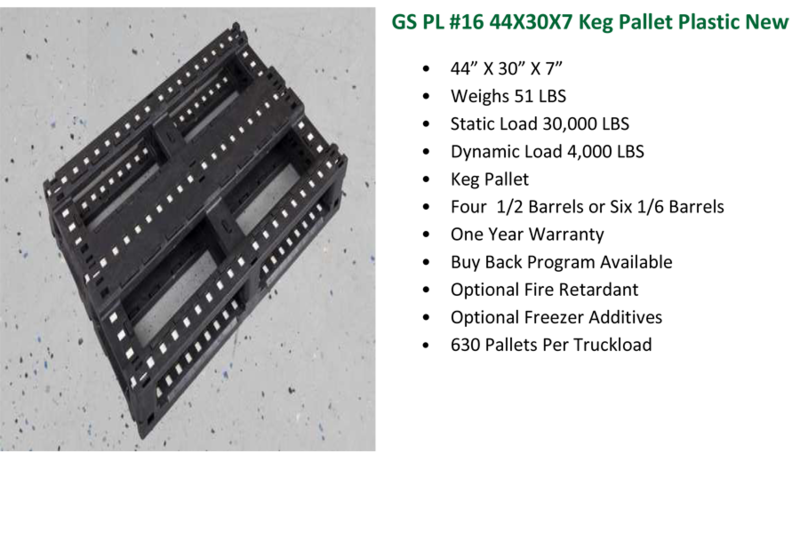 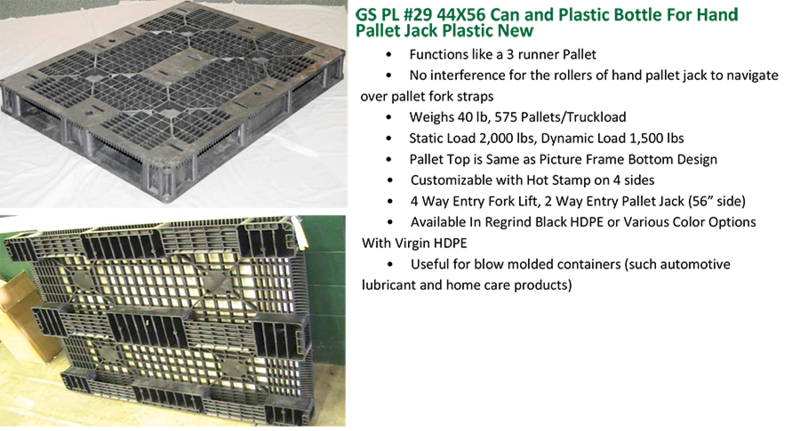 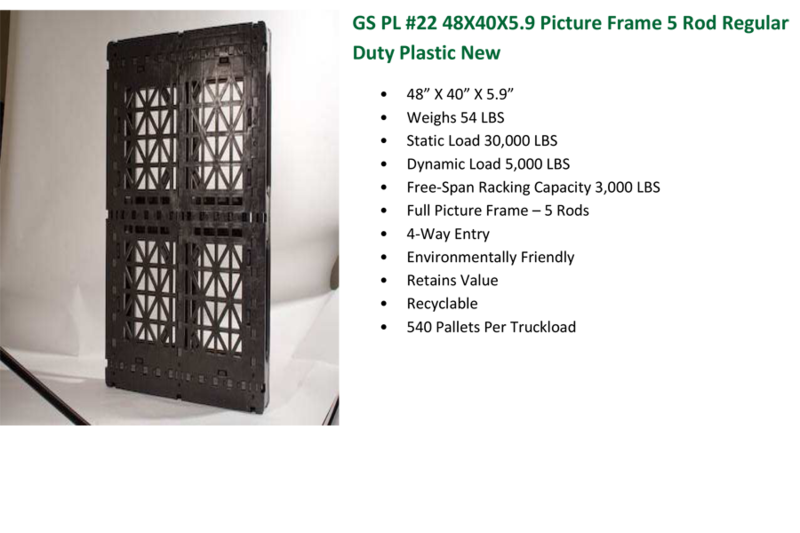 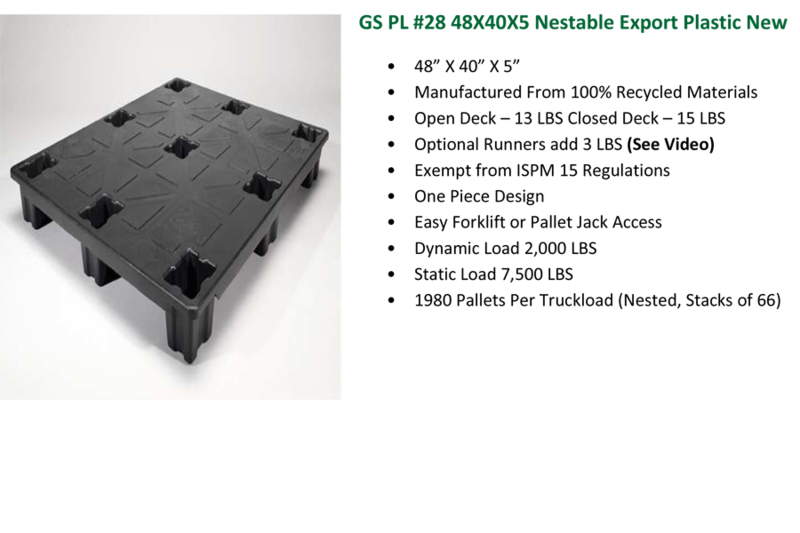 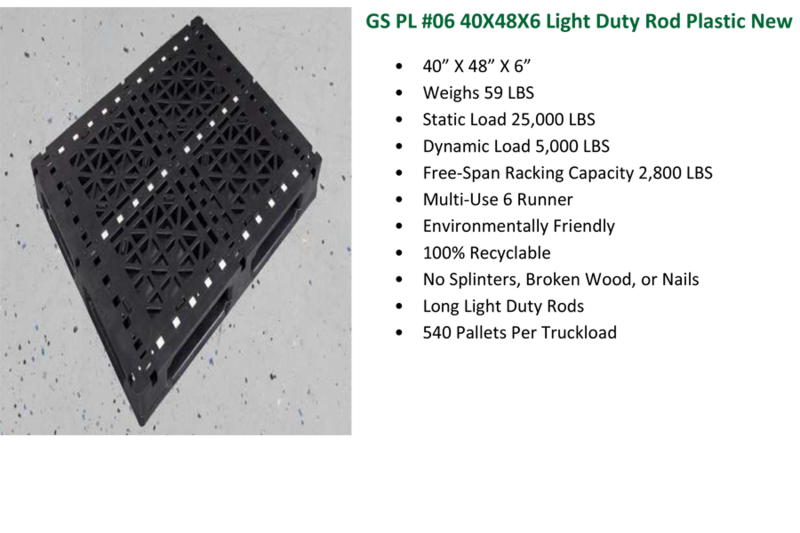 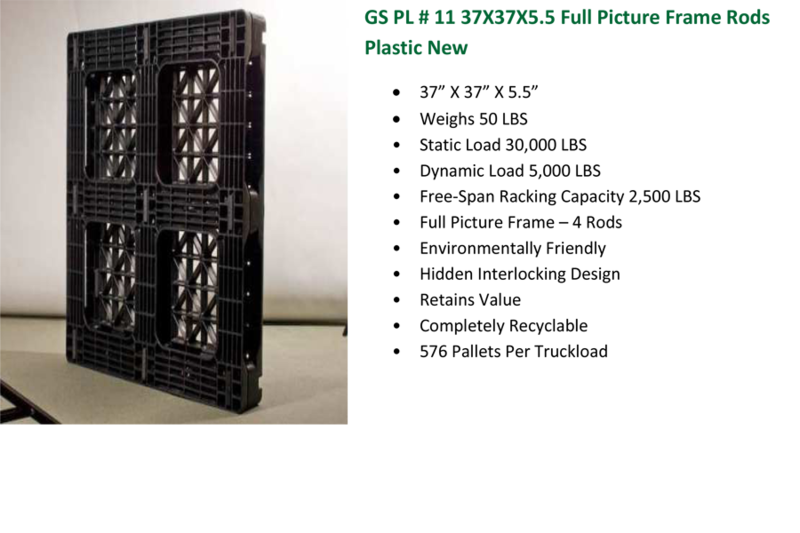 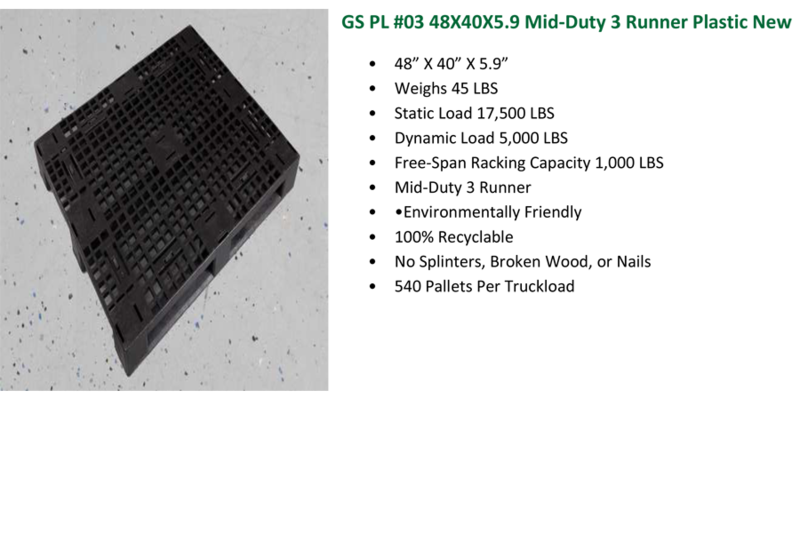 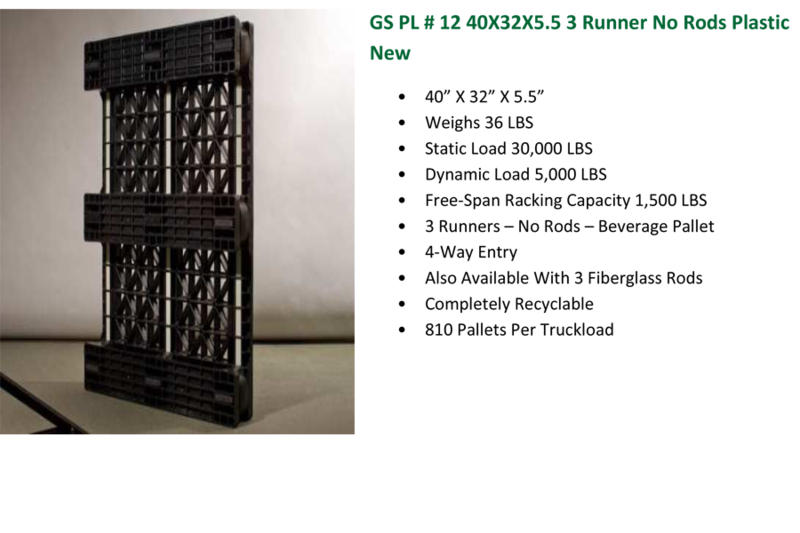 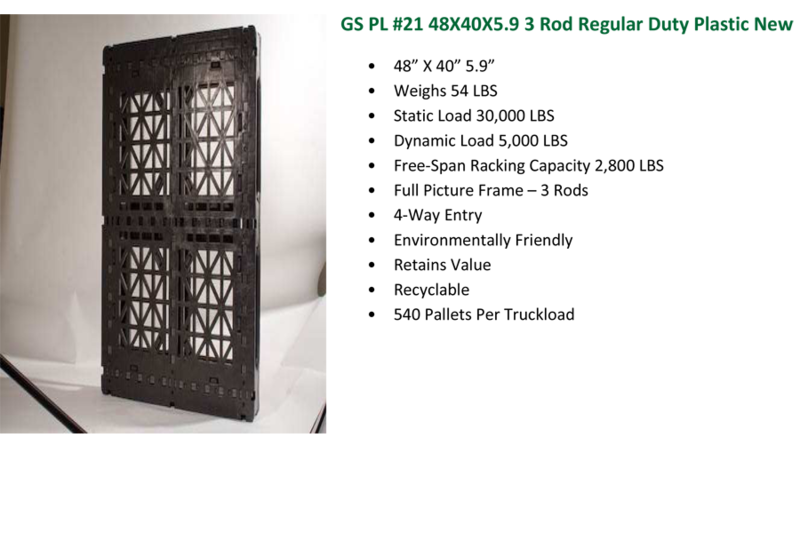 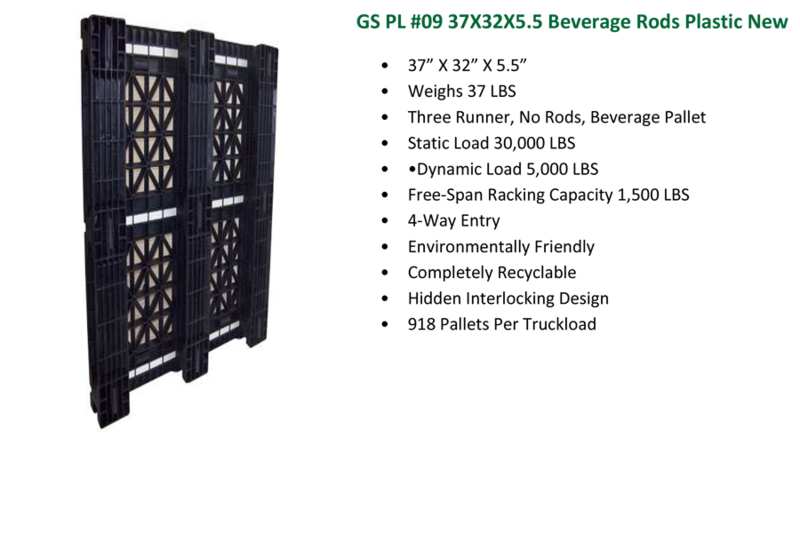 Click on these links to obtain more information about many of our plastic pallet products. If you need more information, please use the information on our Contact Us page to communicate with a company representative.